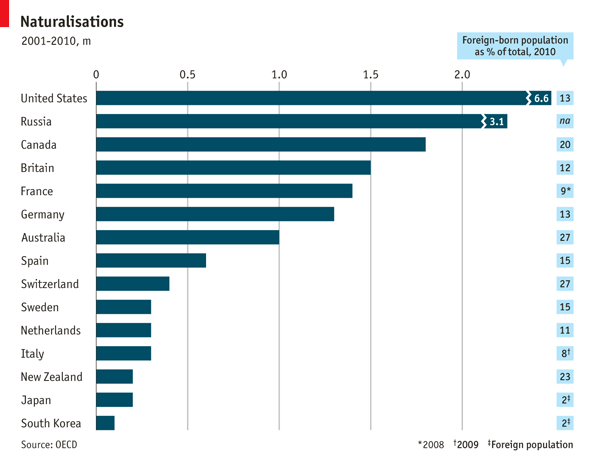 Which countries have naturalised the most immigrants over the past decade? I’d like to see a graph next to this of GDP and per-capita productivity against foreign-born population percentage. Why do nations trade goods instead of producing more themselves? An old theory, that countries specialize in the products they make well, may be on the money. No one in the entire world is as good at summarizing the state of the technology business through slideshow presentations as Kleiner Perkins partner Mary Meeker. Online culture magazine limn has published a sobering article about how casinos are using hi-tech behavioral profiling of its customers to maximize patron engagement. Jared Foran, an orthopedic surgeon in Denver, is a co-author of a new study called “Patient Perception of Physician Reimbursement in Elective Total Hip and Knee Arthroplasty” (PDF here). The authors surveyed 1,200 patients to see how much they thought orthopedic surgeons should make and what Medicare actually pays for a hip or knee replacement.